There are a few dates you should be aware of if you want those packages to arrive by Christmas Day. 'Tis the season to start sending out your holiday packages to loved ones. For regular shipping, the U.S. 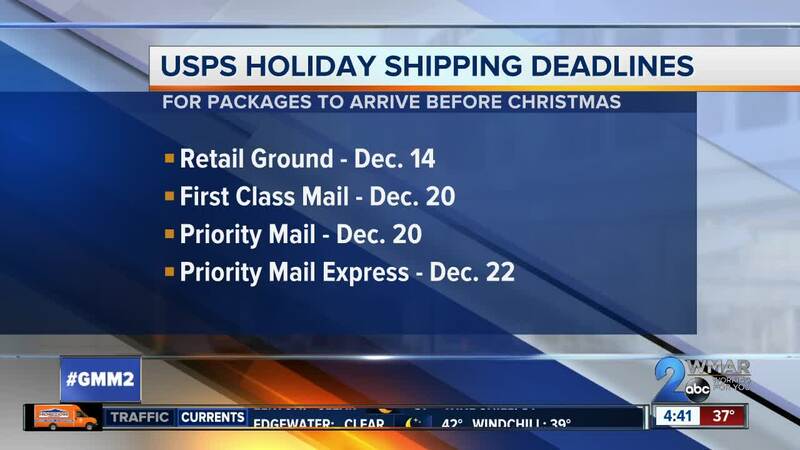 Postal Service recommends mailing packages no later than Friday, Dec.14. Thursday, Dec. 20 is the deadline for first class and priority mail. After that, your option is priority mail express. The deadline for that is Saturday, Dec 22.